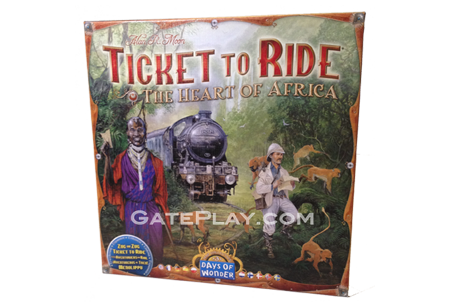 Drake says: "Venture into the Heart of Africa to build routes through some of the continent's most remote and desolate locales." 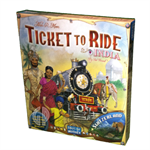 Set in the vast wilderness of Africa at the height of its exploration by intrepid explorers, missionaries and adventurers, Ticket to Ride Map Collection: Volume 3 - The Heart of Africa, a single-sided expansion map for Ticket to Ride or Ticket to Ride: Europe, focuses on the central and southern "heart" of the continent displayed in a vertical format. 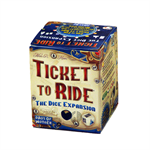 This expansion introduces 45 new terrain cards, divided into three different terrain types. 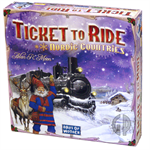 Each type is associated with different route colors: Desert/Savanna cards for yellow, orange and red routes; Jungle/Forest cards for green, blue and purple routes; and Mountain/Cliff cards for black, white and grey routes. 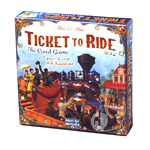 Players can draw terrain cards just like train cards and they may use these to double the value of the routes they claim, under certain conditions. 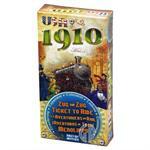 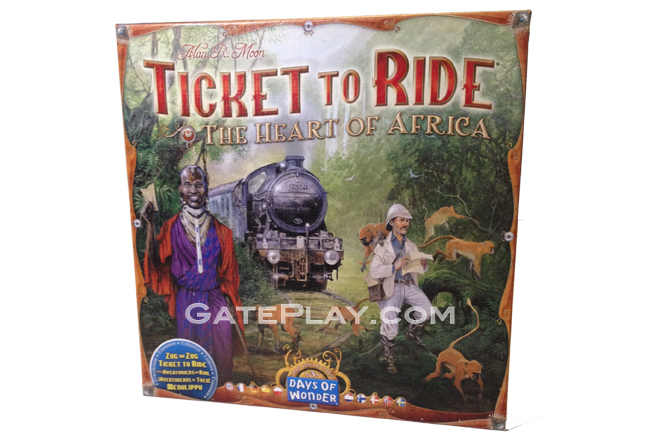 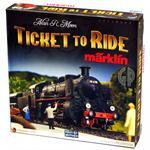 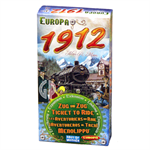 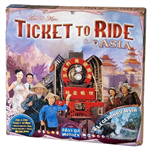 Check out "Ticket to Ride Map Collection: Volume 3 The Heart of Africa" on BoardGameGeek.com!